Hi friends, how have you been? It's been super busy around here the past few weeks, so this past weekend we decided to stay home and relax. The kids still wanted to do something fun though, so my older children and I kept busy in the kitchen. We made homemade pesto, homemade pasta sauce, and one of our favorite seasonal treats; crock pot pumpkin butter. This stuff is so delicious! We made a big batch and canned it to share with friends. You can spread it on toast or English Muffins, or use it as a fruit dip (we love it on Apple Slices). There are so many great ways to enjoy this seasonal staple. 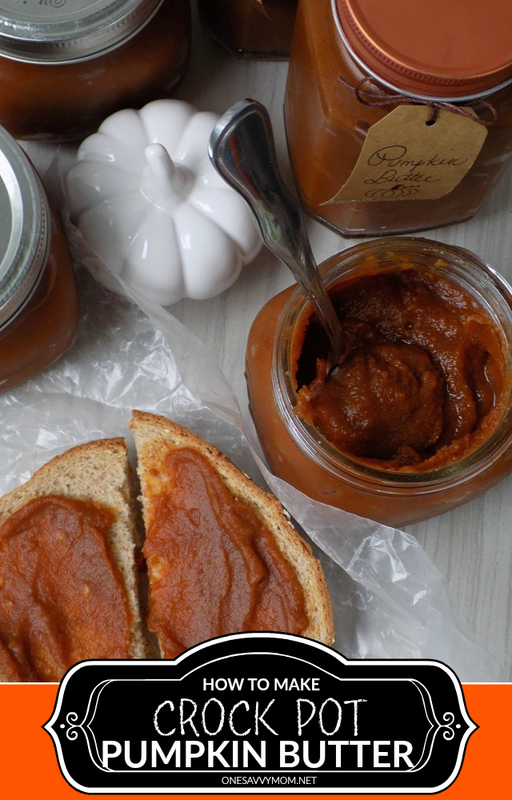 If you love all things pumpkin spice - you'll definitely enjoy this simple and delicious recipe! 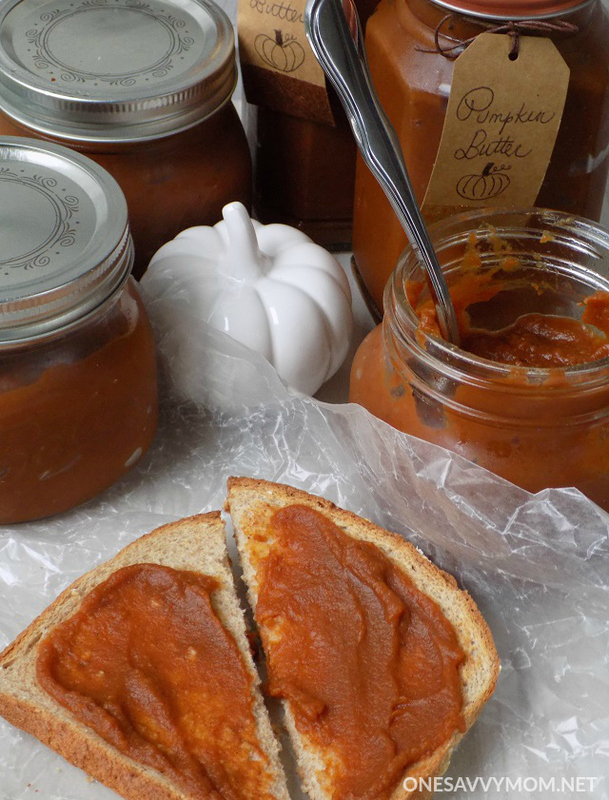 Grab my recipe for crock pot pumpkin butter below. Combine all of the ingredients well in the crock pot. Set the crock pot to low. Allow it to cook for 3 hours on low. Stir every 30 minutes or so. Once cooked jar the pumpkin butter and refrigerate. It lasts for about 3-4 weeks refrigerated. 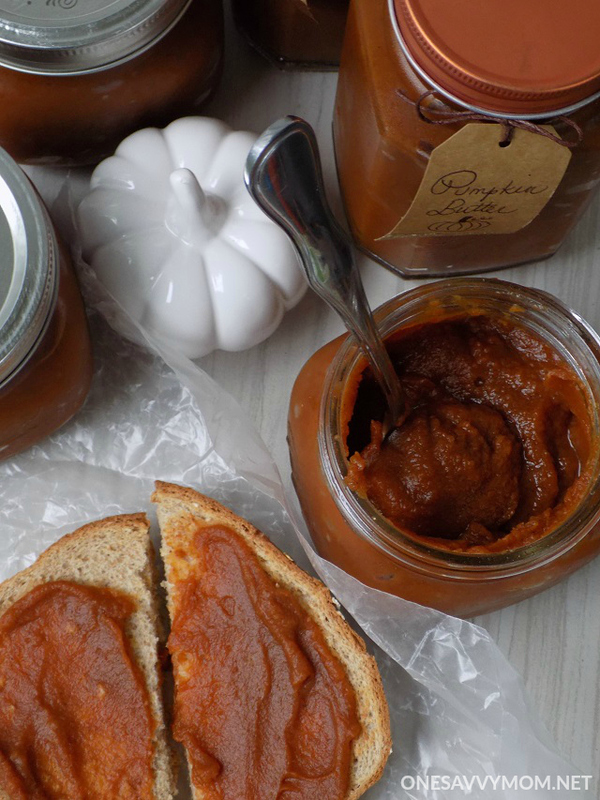 If you prefer your pumpkin butter to have a longer shelf life, you can use the canning process to seal the jars. Serve on toast, English muffins or fruit, and enjoy!